Apartment with pool. Located on 3th floor, with elevator, in complex, simply furnished. Living room giving onto balcony with double sofa bed. Separate kitchen with 2 hotplates. 1 bedroom with stowaway beds. Large holiday residence with communal pool on the seafront. Located in the city center coup de coeur assured for this location of choice. Shared swimming pool open from June 15 to October 15, depending on weather conditions and excluding annual regulatory maintenance work. 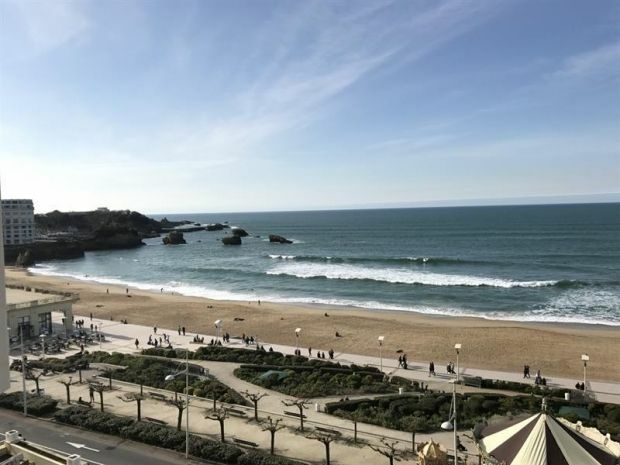 You will be able to appreciate Biarritz for its glamor, its Rocher de la Vierge, its thalassotherapy center, its surf spots or its casino. Biarritz is also the Aquarium Museum of the sea, gastronomic specialties in the market and restaurants, nightlife and summer events.